This guest post is from 20s Money talking about building financial independence from online income streams instead of relying on the traditional income streams from Wall Street. If you are interested in contributing your own story or plans, see here. I currently have a couple more lined up. I have an early retirement plan, like many people, but mine is slightly different. The normal system of working out the numbers to figure out how much I need to accumulate in order to live X amount of years at Y dollars per year is definitely a part of my early retirement strategy; however, it is only half of it. The other half is more income focused. While prudently saving, I’m also focused on developing income streams. The overall objective is to amass a sum of money that serves more as my “emergency retirement funds” while living off income from a basket of income streams that I’ve developed prior to “retiring”. These income streams may require some level of effort and work to maintain them, but they are income streams that require no more than a few hours a week of work and work that can be done from home. There are risks to an early retirement (which i will address later) and I believe it is a better strategy to not touch the money saved up, instead letting it grow while living off other income sources. If one is to step back and examine what it means to retire, it is all about income replacement. Most people replace their income by withdrawing money from savings or investments. I’m merely focusing on cash flowing assets versus my traditional savings and dollar denominated assets (stocks, bonds, etc.). It is still important to pursue the build up of cash and stocks because it is another level of diversification and like I mentioned above, it will serve as “emergency funds”. Turning to specifics and actual numbers, I’m currently 27 years old. It is not unreasonable for me to establish retirement funds (cash and stocks) of about $300,000 – $400,000 by the time I am 35 years old (I currently have approximately $50,000 saved). It is important to not include equity in your primary residence since you will always require a place to live, although you may rent down the road. Moving on, it is also not an unreasonable goal to having established income streams producing anywhere from $3,000 – $8,000 per month in income by the time I am 35. Let me explain the strategy and path to get to this point. I plan to work pretty hard over the next 8-10 years. My primary job provides my primary income plus enough to save about $10,000 to $30,000 per year (maybe even more) depending on performance numbers. There is potential for even greater upside and there is potential for limited growth, depending on the economy, and a few other factors. By living frugally and smart, I can build up my so called “nest egg” to a nice level. By being a patient investor, focusing on depressed stock prices (which equate to higher yields), I can lock in very attractive returns for these funds which will hopefully grow the nest egg even faster over the years. While working on my primary career, I’m also dedicated to developing income streams as I’ve mentioned several times already. My first income stream that is already established is my online blog, 20smoney.com. I started that website to provide financial information and advice for people in their 20s that is not typically found in the personal finance blogosphere. Currently, the blog brings in anywhere from $250-$450 per month. Instead of saving that money or spending that income, I’m currently reinvesting the proceeds back into the blog. As I mentioned before, my goal is not an income stream that produces a few hundred dollars a month, but an income stream that produces a few thousand dollars a month at minimum. Therefore, while I’m living off my main job and funding my nest egg through my main job, it makes sense for me to maximize the efforts to grow the income stream by investing in it (similar to reinvesting dividends into a stock). As one income stream (my first blog) becomes more stable and I shift some of the work to other people, I will shift my own focus towards building a second income stream from the ground up. Again, it will most likely be in the form of a blog or a website because of how easy it is to setup and because it costs almost nothing to get going. Plus, with my first successful blog launch under my belt, the second one will be much smoother. I believe that each blog launch really takes 2-3 years to get up and running and to be able to actually produce some decent income. As I said above when I mentioned my income goals, it is not unreasonable to expect online income in the range of $3,000 – $8,000 per month in 8 years when I’m tentatively planning to retire. I have thought a great deal about the security of online income and have found it to be just as secure if not more than the income from a “regular job”. Unless there is a huge shift in the way the web works, the traffic and income is actually very secure for a website. The ebbs and flows of the economy hardly affects it, as opposed to very much affecting regular employment. If you think about it, online advertising (a big source of online income) is only in the infant stages. The online economy is growing much faster than the non-online economy, so come to think of it, it’s a better place to be than say… manufacturing in America. The main risk that I see for early retirement, especially when observing current economic and monetary policy, is inflation. Anyone contemplating early retirement should study inflation and ensure that they are protected or hedged for such a development. Online income, like many businesses, are actually pretty good places to be in an inflationary environment (since businesses typically just pass on higher costs). Having funds in inflation protected assets like commodities and even stocks is also important. 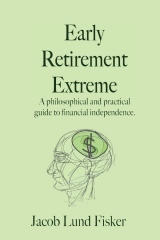 By achieving consistent online income from one or more sources that will provide plenty of money to live off and also building up a nice nest egg to earn investment returns and to be funds to “fall back on” in the case of an emergency, it is very possible to achieve “early retirement” in my mid 30s. I view “early retirement” as simply achieving ultimate freedom. No boss. No 9-5 job. My only work that I partake in is work that I enjoy and can do at anytime and at any place (just bring a laptop). Early retirement brings the flexibility in life that allows me to pursue the projects and activities that I wouldn’t be able to pursue working a 9-5 job. The financial independence, the flexibility, the freedom… it’s a fantastic goal to pursue. 17 users responded in " My Early Retirement Plan "
I’m definitely in favor of diversifying income streams in the same way everybody keeps harping about stock diversification. A lot of small streams are better than one big stream in terms of resilience. My main concern with online income is that it seems to need a sustained effort. If I stop writing for instance or even cut back it has fairly serious implications for my traffic. It pretty much takes 3 months to build it back to the previous levels. @Jacob – In one sense, by having guest posts, you’re reducing that sustained effort. It could even be said that you’re an employer! It’s great having an online income. The problem with 20s money is that he/she is not diversified. If 20smoney decided to retire after their website started producing 8K/month they are simply relying on one source of income. A much smarter way would be to invest earings in off-line activities such as stocks, bonds, real estate..
@George – I think it could be said if I had the same people post regularly. I think the danger of that is the original reason for reading the blog might go away. For instance, I used to read GRS because of JD’s writing. Now that GRS is full of staff writers I hardly ever go there anymore. And if I like the writing of one of the staff, I might as well unsubscribe from GRS and go directly to the source blog. The main problem here is that if you want to build a blog based on great guest writers, the staff/guests will probably discover that they can be better off striking out on their own. The only way I would see this working is a concept like wisebread where income is shared. Of course this means that it is hardly passive anymore. I agree with you Jacob. Online income streams would be a fantastic way to early retire in theory, but in practice they really do seem to involve a lot of time and effort. (4-Hour Work Week aside) I once figured out that I could make a living playing online poker. The only problem would be I would have to play online poker all day. How do you make money from a blog? Do you use adsense? I thought all that stuff is kinda scamy. @Juliet – I use adsense, adsdaq, and amazon. I give the former two a space on my blog (upper left sidebar) and they pay me to put ads there. The latter one I get a cut if someone clicks on a link to amazon and buys something there. Obviously, this can lead to all kinds of conflicts of interest. For instance, am I advertising/talking about something merely to get people to buy it or click on it? @Jacob: yeah that’s what I don’t like about bloggers recommending a book on Amazon: is it really that good, or do they think “why not mention this related book so that I might earn a few extra bucks”. There are so many books out there and I need a GOOD reason to read one. I’ve read that most spenders on blogs are one-time visitors, which I find really weird and fascinating. I guess it makes sense though–if you visit a site often, you don’t even register the adds anymore. . .
And Concojones, be careful buying books or you’ll end up with a stock pile and when you move to California, you’ll have to decide what the heck to do with them! @Concojones – Technically, nobody needs to buy it from amazon. The reason I use it is because it is highly convenient to find books there. I even use amazon’s search routines to get an exact title to use for my interlibrary searches. My view is that it takes a great deal of time to ramp up an online income stream but it is very possible to significantly decrease the amount of work required to maintain it once it reaches a certain level. Therefore, it is a very good semi-passive income source once you cross a certain threshold. By semi-passive, I mean 3-5 hours of work a week. As for not being diversified, if you read through my plan, I still planned on having some funds in traditional investments. However, I don’t put as much faith in consistent stock returns as most. All one needs to do is look at returns over the last 10 years to see what I mean. Part of my economic views are that American’s economic dominance is likely over and thus, guaranteed stock returns are not going to be the same moving forward as they have been looking backward 30-50 years. I discuss these theories further on my blog. Thx for the comments and Thx Jacob for posting my retirement plan. Dumb question, but what happens when 20smoney (the person, not the website) hits 30? Will he lose credibility with his audience? Or is this where the staff writers come in? @20smoney: I never would have guessed your blog brought in that much income. Google Adwords is often looked down upon as a source of income, but you seem to be doing very well. Congratulations! @Jacob: sorry, I should have been clearer. I was talking about a blogger who used to recommend a good book every once in a while, but nowadays has an affiliate link to an Amazon book in almost every blog post. A post about elephants? You can bet he has included a link to a book about Elephants. If I’m not mistaking you have affiliate book links too, but since it’s only 2 seemingly favourite books I suppose you’re sincere. I might get confused if you had 20 such recommendations. @tlblack: lol! No worries, I always try the library first, for the exact reason you mentioned. The few books I own were bought AFTER having read a library copy. 20sMoney, I hope I’m right there with you in 8-10 years! It would be great to rake in $5-10,000/month from a website. I won’t be focusing on money for another 6 months minimum. I’m not motivated by money now, and will just have a few select advertisers. I am weary of hearing bloggers whose essential recommendation and/or personal success to to create successful blogs. Yes, what you did is impressive. But it’s not applicable to most people, and to me it is no longer even interesting. Thanks for this post. It got me to thinking a=bout blogging about one of my favorite topics, personal finance and what it could mean in terms of generating income stream in the future. I’ve started the blog and am now on the long (and arduous) path to make it a success. Thanks!